Young people are working hard to make everyday life more fun and friendly, by running crowdfunding projects that do everything from boost the appearance of local streets to improving community cohesion through vibrant festivals. At the same time they’re emerging as exciting and innovative future pioneers of bottom-up civic transformation! Spacehive are supporting students by running workshops that teach them some top civic crowdfunding tips and will also build their confidence along the way. We want to help young people grow a healthy mentality towards change. We want to prove to them that they are powerful enough alone to transform their neighbourhood. Sure they might be young, but their ideas are fresh and their passion is unconstrained – a powerful mixture! The skills and experience people gain from running a crowdfunding campaign are wide and varied and this is something the Barclays LifeSkills team have picked up on as being something that young people can really benefit from. 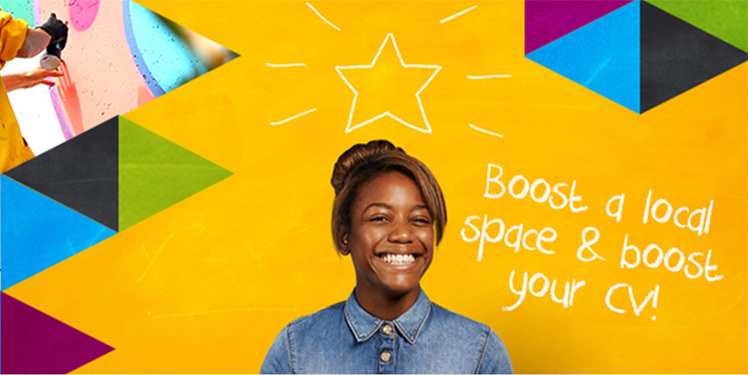 By pledging up to £500 to Spacehive projects run by young people, Barclays are not only helping to nourish the professional development of the next generation but they are also helping to build the next generation of future placemakers. In times of austerity (excuse the buzz word), where councils are strapped for cash, individuals are being pushed to evolve and find new channels to bring change to their towns. Colleges, youth groups, and Barclays LifeSkills are preparing young people, as civic crowdfunding becomes a more mainstream method for civic transformation, so that they are equipped with the host of skills that crowdfunding hones as well as that self-belief and confidence that really enables people to be change-makers. Want to be a change-maker or know a young person with a fab civic project idea? Send them in our direction – contact info@spacehive.com now!